A nice interview with good English subs, with mentions of Lee Byung Hun, Masquerade and The Fortress. Almost an hour long clip but very insightful from the movie make-up artist's perspective. Won Dong Yeon, producer of Masquerade and the first two films of the Along With The Gods franchise, spoke at The Korea Society in New York City on the day after the 2019 Academy Awards. While discussing the Korean film industry, he was asked what he thought of the Netflix film Roma winning foreign film and cinematography Oscars and what that might mean for Korean filmmakers. He was happy Netflix was getting some respect. Won is currently in talks with Netflix to produce a television series based on his record-breaking films Along with the Gods: The Two Worlds and Along With The Gods: The Last 49 Days, while at the same time working on producing a third and fourth film in the franchise. Two Worlds not only attracted 14 million viewers in Korea, but topped box offices throughout Asia. The Last 49 Days holds the record for the most Korean moviegoers on a single day. Franchise films are not the norm in Korea and Won had long wondered why Korean filmmakers did not capitalize on the format. Won, the CEO of Realies Pictures, is now a successful producer but that has not always been the case. Along the way there were some failures, most of which happened before he produced 200 Pound Beauty, starring Kim Ah Joong and Joo Jin Mo. That success happened just in time. The success of Masquerade really changed his life. In the same vein, he produced Warriors of Dawn, starring Lee Jung Jae and Yeo Jin Goo, but that film flopped. Around the same time, the trailer for Along with the Gods received negative feedback because some said it was not true to its webtoon inspiration. Won despaired, but ultimately he learned that when you encounter rejection or hardship, it's important not to be too hard on yourself. One failure does not necessarily predict another. Along with the Gods, based on the webtoon by Joo Ho Min and starring Ha Jung Woo, Cha Tae Hyun, Ma Dong Seok, Ju Ji Hoon, Kim Hyang Gi, and EXO’s D.O., quickly shot to the top of the box office. He began working on the first film with CJ E&M Entertainment but continued with Lotte Entertainment because CJ E&M was cautious about producing two films at the same time, especially if the first was not a proven hit. While he is interested in making successful films that will attract investors to his country’s film market, he’s also invested in the success of Korea’s indie filmmakers. 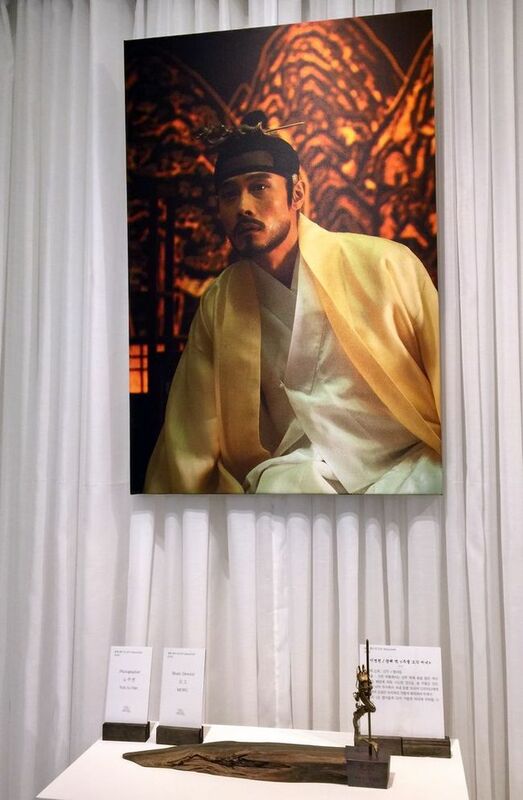 To promote that success, he donates money to Korea’s film development fund. I am a journalist fascinated by Korean drama and film. Since 2013, my stories on Korean media and culture have been published in the Los Angeles Review of Books, Kultscene, Macg Productions, The Independent, Bust, Hello Giggles and Mental Floss. For three years I worked as a writer and editor at KPopStarz, a popular K-pop and kdrama news site and appeared on three KCON panels discussing drama trends. Some of my drama blogs appear on the That Only Happens In Kdramas FB page. To celebrate its 40th anniversary, the Korean Cultural Center New York (KCCNY) is putting on a series of cultural events throughout 2019, which include a pair of events related to Korean cinema. This month, Along with the Gods producer WON Dong-yeon visited New York for a special talk, while Director KIM Tae-yong will stage a film and music event during the summer. On February 25, WON Dong-yeon, producer of the box office sensations Masquerade (2012), Along with the Gods: The Two Worlds (2017) and Along with the Gods: The Last 49 Days (2017), and head of the Realies Pictures Film production company, was invited to give a talk about the state of Korean films. He discussed his career as well as changes in the Korean film environment, which is beginning to welcome local franchise properties, and how the influence of Netflix is affecting world cinema. Later this year, Late Autumn (2011) director KIM Tae-yong will visit New York with music director BANG Jun-seok to put on a live film and music event around their jointly produced play Kokdu. The film version Kokdu: A Story of Guardian Angels (2018) debuted at the Busan International Film Festival and recently screened in the Generation program of the Berlin International Film Festival. KIM and BANG will team up with the National Gugak Center for the special performance. The performance will be put on at some point this summer. The Korean Cultural Center New York opened its doors in 1979 and since then has strived to adhere to its mission of promoting cultural arts exchanges and stimulating an interest in Korean culture in the United States. 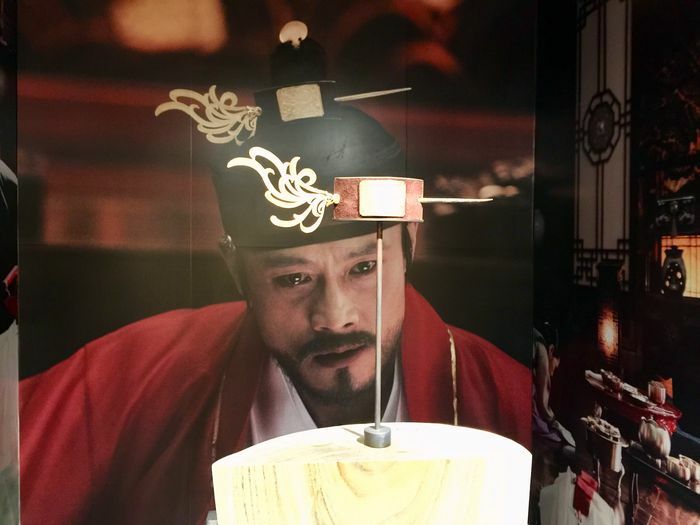 In the "Creating the Face of Cinema Exhibition" which exhibited the work of Cho Tae Hee, Lee Byung Hun and the movie "Gwanghae"/"Masquerade" were clearly the main focus as the exhibits from this movie occupied the largest first level.